2012년 새해를 맞아 EnoB에서 세번째 EnoZine으로 여러분들께 인사드립니다. 저희는 공연과 행사로 눈 코 뜰 새 없었던 12월을 마감하고 2012년에는 어떻게 하면 보다 더 많은 분들에게 행복과 웃음을 전달할 수 있을까를 고민하며 열심히, 또 즐겁게 일하고 있습니다. 앞으로도 저희 활동 지켜봐주시고 따뜻한 후원 부탁드립니다. 지난 호에이어 이번 호 이노진도 재밌게 읽어주시길 바랍니다. 2012년 새해에도 행복하고 건강하시길 바라겠습니다. 새해 복 많이 받으시고, 행복하세요! The EnoB family, with our third issue of EnoZine, would like to wish you a 'Happy New Year'! 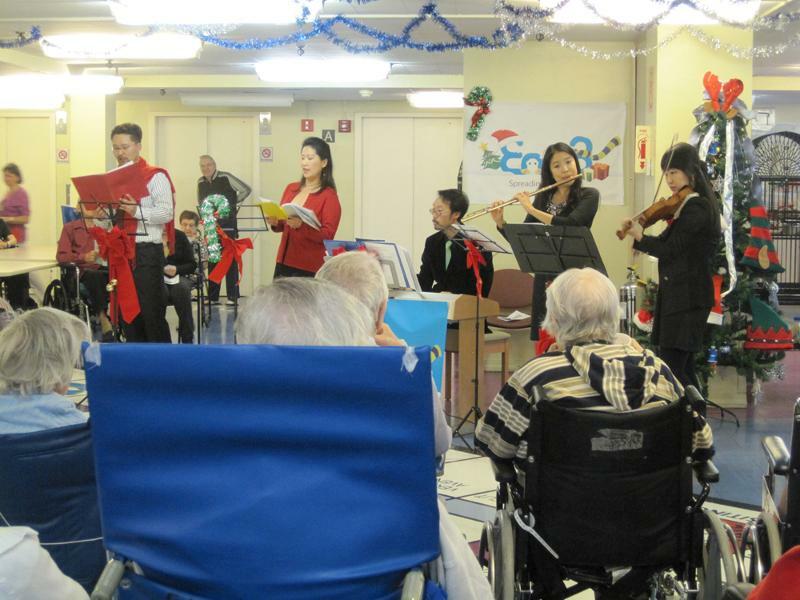 The passing year of 2011 was a busy one, with many performances and events dedicated to helping people in need. For the new year of 2012, we are again striving to work hard so that even more people can be filled with happiness and joy. Thank you always for your continued support. We wish for you a healthy, prosperous, and happy new year! 12월 24일 크리스마스 이브에는 Manhattan의 DeWitt 양로원을 찾아가서 투병중으로 인생의 마지막 단계를 외롭게 보내고 계시는 60여분의 노인분들을 위한 공연을 했습니다. 소프라노 이윤아, 바리톤 이요한, 플룻 박민상, 바이올린 주진, 피아노 주니 정 등 저명한 한인 음악가들께서 함께하신 이 공연에서는 크리스마스 송, 오 홀리나잇, You raise me up 등의 노래로 짜여진 45분여의 공연을성공적으로 마쳤습니다. 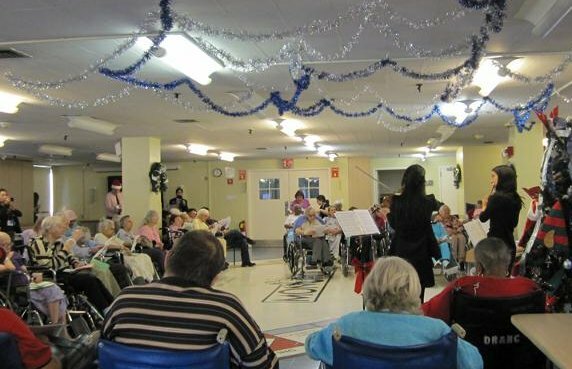 On Christmas Eve, we visited the DeWitt Nursing Home in Manhattan and performed for a group of about 70 senior citizens, helping to add some cheer and holiday spirit to the residents. 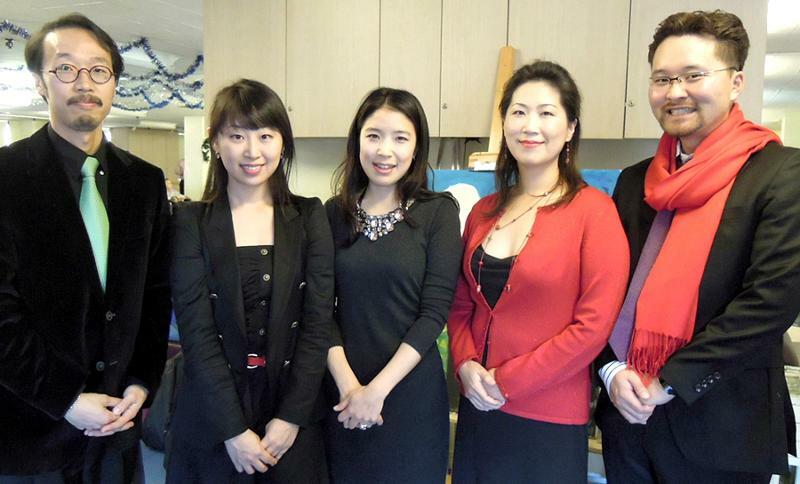 The performers included soprano Yuna Lee, baritone Yohan Lee, flutist Minsang Park, violinist Joo Jin, and pianist Juny Jung. 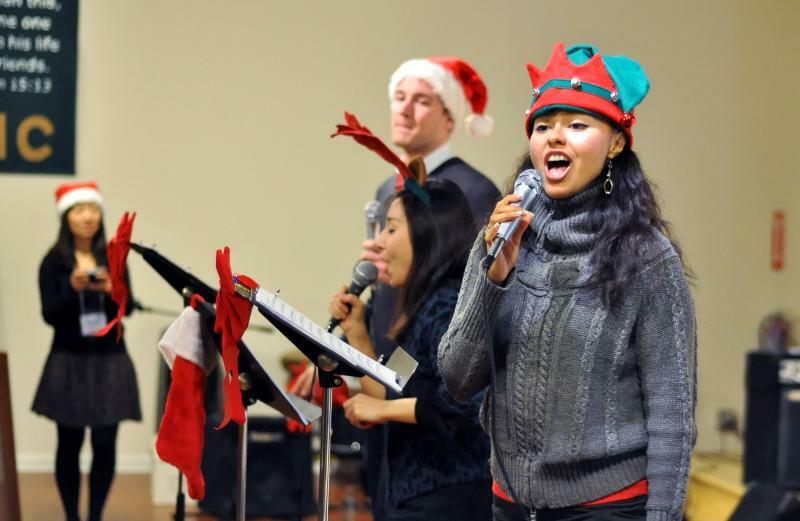 The performance lasted for 45 minutes and included songs such as "The Christmas Song", "You Raise Me Up", and "Oh Holy Night". 일년 중 가장 기쁜날인 크리스마스 이브에도 가족분들이 아무도 찾아오지 않아서 마음이 더 아팠던 이 날의 공연에서 노인분들이 노래를 따라부르시기 힘든 상태임에도 불구하고 힘을 내셔서 노래를 같이 부르신다거나 말없이 눈물을 흘리시고 계시는 분들이 계셨습니다. Although the Christmas season is supposed to be one of the happiest times of the year, for many people including seniors, the holidays can be extra lonely and sad. 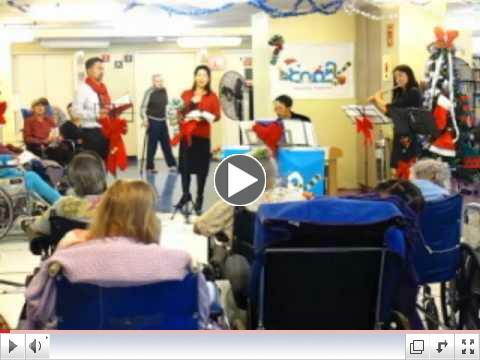 We were happy to be able to give a little 'gift' to help raise the spirits of the DeWitt Nursing Home residents. 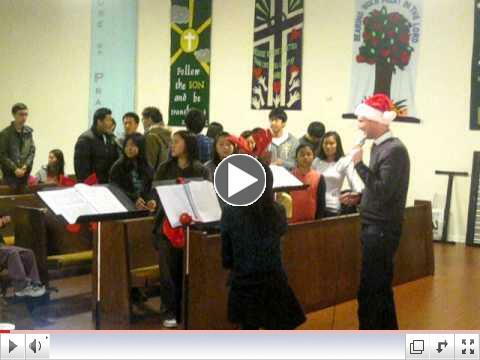 Many residents sang along and some even shed tears during the performance. 또 공연을 즐거워 하시고 공연이 끝난 후에도 계속 휠체어에 앉아 계시며 자리를 뜨지 않으신 많은 분들이 계셔서 저희가 쉽게 발걸음을 떼지 못했습니다. 이 양로원에 계시는 노인분들은 전원 휠체어를 타고 계시고 혼자서는 거동이 불가능하신, 저희가 생각했던 것보다훨씬 더 몸 상태가 안 좋으신 분들 이어서 공연 시작 전에 한분 한분을 모두 양로원 건물 안으로 모시는데만도 시간이 많이 걸렸습니다. 크리스마스 이브에 이분들을 위해서 공연할 수 있어서 또 그 분들과 함께 시간을 보낼 수 있어서 너무도 감사하고 기쁜 날이었습니다. Everyone seemed to enjoy the performance very much. Even when the performance had finished, many of the seniors remained behind not wanting to leave. The audience was so appreciative that it was also difficult for us to leave. 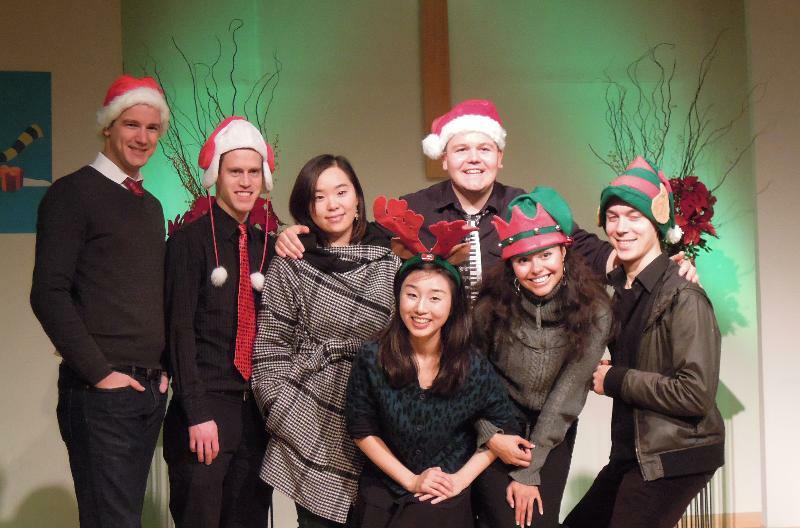 We were so happy and thankful to have the opportunity to perform for such a wonderful audience. 공연이 끝난후 nursing home의 자원봉사자분께 물었습니다. 노인분들이 공연을 어떻게 보신 것 같냐고. 그는 눈을 동그랗게 뜨고 말했습니다. "이건 정말 amazing 한 일입니다, 저 분들을보세요, 아무도 주무시고 계시지 않쟎아요. 널싱홈에 계시는 노인분들이 전원 깨어계시다는 건 기적같은 일이고,그건 정말 공연이 좋았다는 뜻입니다. "라면서 고맙다는 말을반복했습니다. 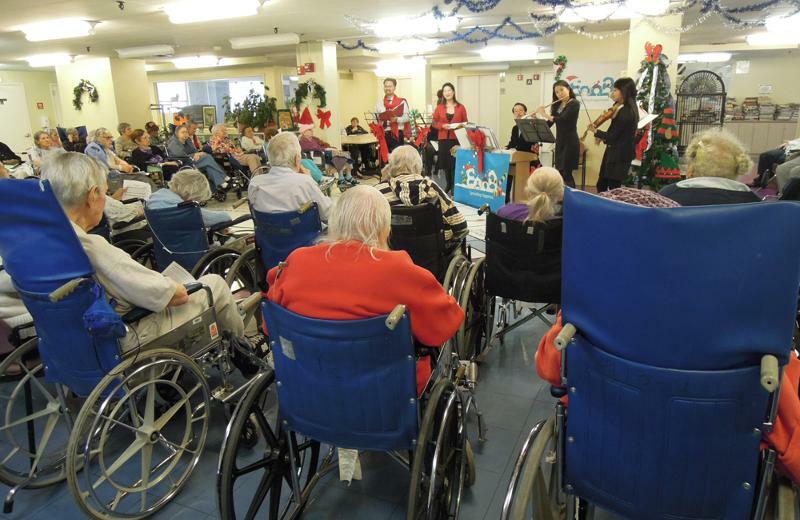 Afterwards, one of the volunteers at the Nursing Home remarked to us wide-eyed, "This is the most amazing thing. Look at them. Not one person is sleeping. It's almost a miracle that everyone is awake. That means the performance was really good!" 저 희는 앞으로 더 자주, 더욱 더 훌륭한 공연으로 그 분들을 찾아가고 싶은 마음 이 들었습니다. 그러기 위해서는 여러분들의 후원이 필요합니다. We would like to visit these residents, and others, with more and even better performances. We cannot do this, however, without your help. Please continue supporting us, for these and other great causes. 12월 17일 토요일에는 퀸즈 플러싱에 위치한 코코 장애인 서비스센터를 방문해 크리스마스 콘서트를 가졌습니다. 이 자리에 모인 40여명의 특수교육이 필요한 아이들과 자원봉사자들은 경쾌한 크리스마스 캐롤을 함께 부르면서 즐거운 시간을 가졌습니다. 평소에 항상 주눅이 들어있거나 음악을 접할 기회가 없는 아이들이 뛰어노는 모습을 보면서 저희도 다시금 행복해졌습니다. 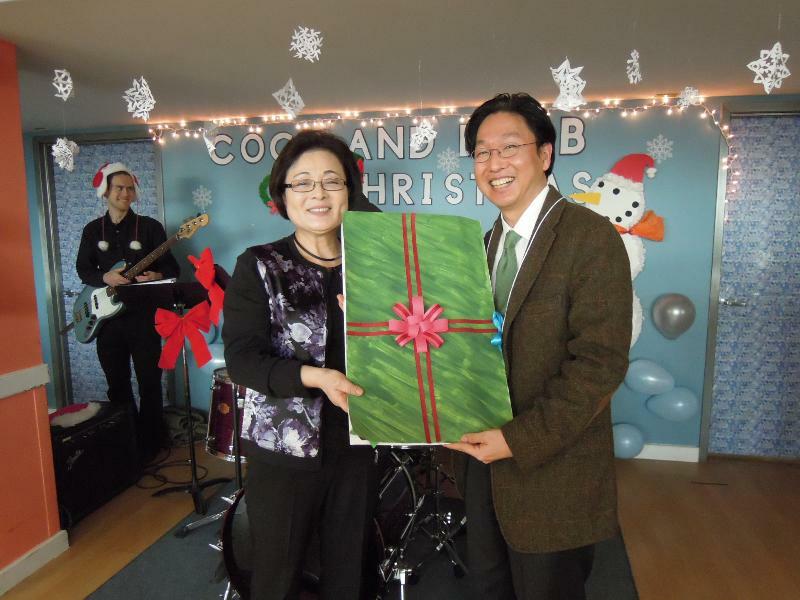 On Saturday, December 17, 2011, we visited the Coco Service Center located in Flushing, NY, and gave a Christmas Concert. 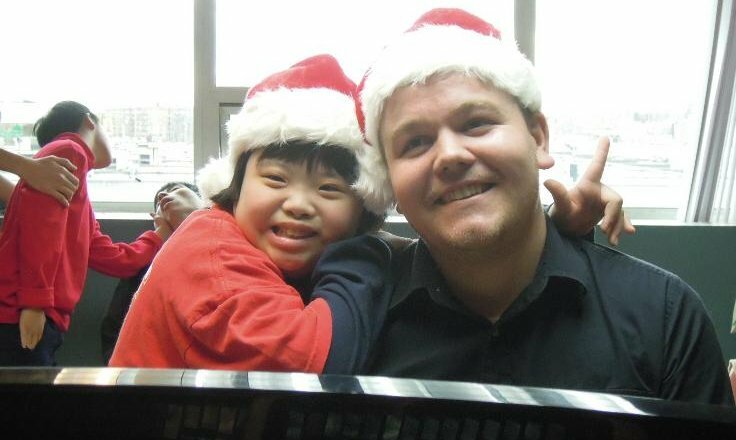 We had a great time singing Christmas carols together with about 40 children and their special education volunteers. Usually, these children are somewhat reserved, and they often don't have a chance to encounter music. But, on the day of the concert, these children became much more playful. We were very happy to see these children smile. 12월 10일에는 뉴저지 밀알을 찾아가 뉴저지 지역의 장애인들을 위한 크리스마스 공연을 펼쳤습니다. 이번 어린이들과 함께하는 크리스마스 아웃리치 콘서트에서는 뮤지컬 명성왕후등 다수의 뮤지컬 음악감독을 역임하고 현재는 뉴욕대학(NYU, Tisch School) 대학원에서 뮤지컬작곡을 공부하고 있는 서혜선 음악 감독등을 중심으로 실력있는 연주자와 보컬리스트 분들이 참여해서 아이들에게 즐거운 음악선물을 가져다 주었습니다. 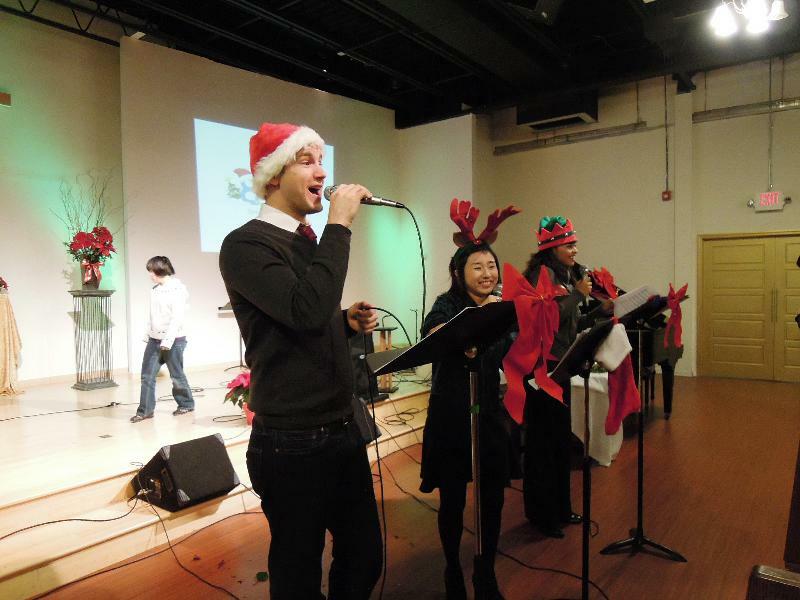 On Dec. 10th, EnoB gave a Christmas concert for children need special education of NJ Milal. 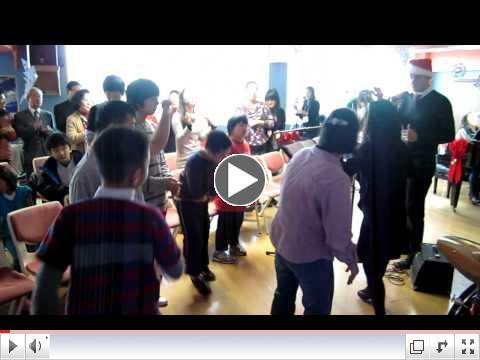 We gave a playful music concert as a Christmas gift for these children with Ms. Haesun Suh who once was a musical director of ' The Last Empress', the acclaimed musical in Korea and also with other gifted musicians and singers. Ms. Suh is now studying Performance Composition at Tisch School of New York University. 왼쪽 영상을 클릭하시면 이노비가 12월 2일에 홀리네임병원과 함께한 암환자를 위한 콘서트의 동영상을 보실 수 있습니다. 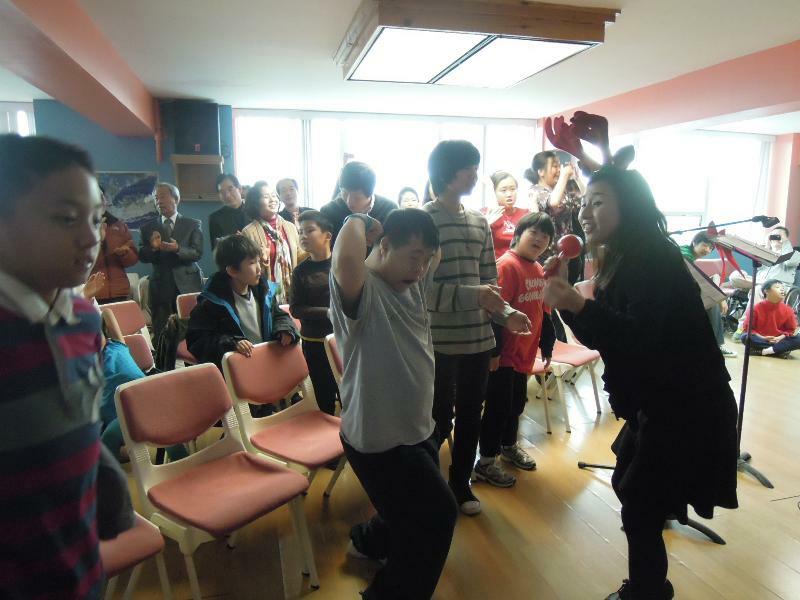 On December 2, EnoB and 8 young and talented musicians held a concert for cancer patients at Holy Name Medical Center, where they performed various genres from Korean traditional folk songs to opera and Christmas carols. 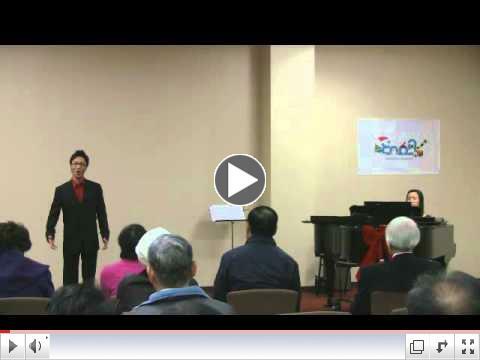 You can view the video of EnoB's last concert for the cancer patients, 'Joy and comfort through Music' at Holy name Medical Center's Korean Medical Program. 아름다운 재단 USA의 주최로 뉴저지 포트리 레크레이션 센터에서 열린 아름다운 나눔 마켓에 이노비가 자원봉사로 참여 했습니다. 기부받은 물품들을 판매하여 미주 한인사회의 어려운 분들을 돕는 취지로 12월 17일에 열린 이 행사에서 이노비 스탭들도 즐겁게 물건을 판매하고 구입하면서 마음이 뿌듯했습니다. 아름다운 재단을 통해 이노비의 작은 봉사와 정성이 한분이라도 더 많은 분들께 전해져 도움이 되기를 바랍니다. 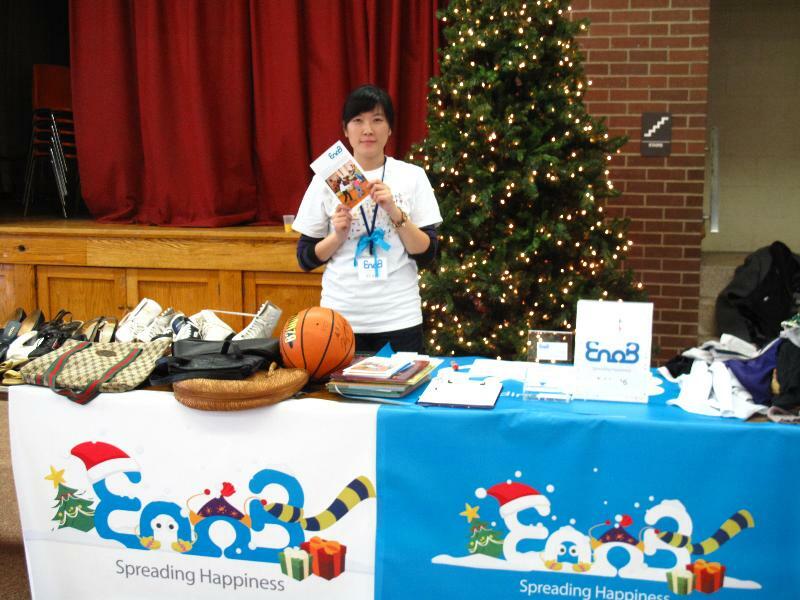 On December 17, 2011, EnoB volunteered for the Beautiful Nanum Market, which was sponsored by the Beautiful Foundation, USA, and held at the Fort Lee (NJ) Recreation Center. 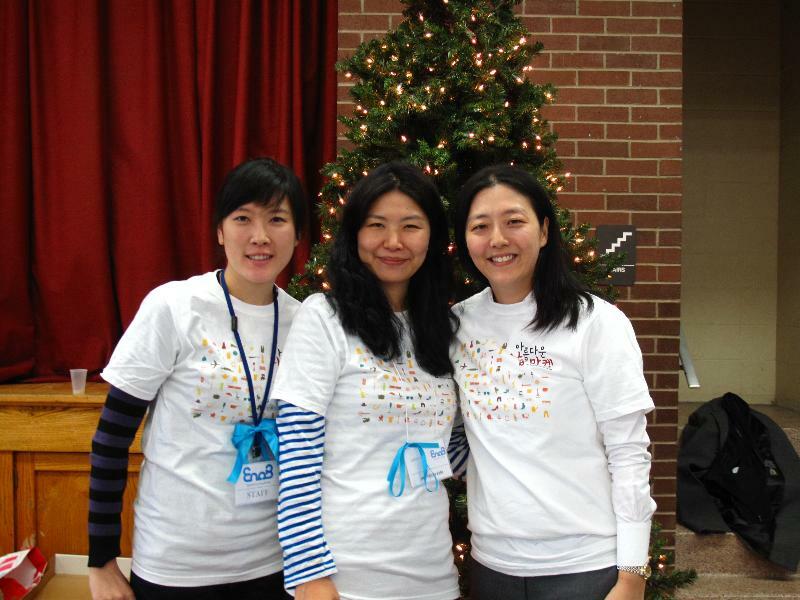 During this event, we were able to sell various donated items to raise money for people in need within the Korean community. 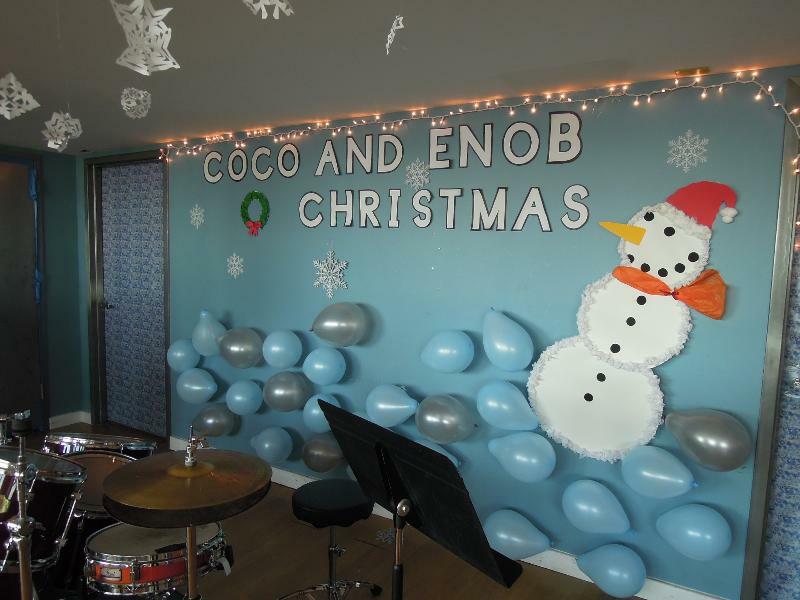 The EnoB staff felt quite fulfilled, not only selling items but also purchasing some as well. We hope to continue our relationship with the Beautiful Foundation USA and be able to help yet another person in need. 이 노비의 창립 멤버이시기도한 이치윤 이사님과 이노비의 인연은 5년전으로 거슬러 올라갑니다. 그때 당시 유일한 한국인으로서 카네기홀 마케팅 부서에서 일하시고 계셔서 화제가 되셨던 이치윤 이사님은 강태욱 대표님과의 인연으로 함께 이노비를 창립하시게 됩니다. 그 때부터 이노비의 큰 힘이되어주신 이사님은 한국과 미국에서 다양하게 활동하시면서 음악계에서 다양한 경험을 쌓으시면서여러 잡지에 글을 기고 해오셨습니다. 한국 외대 영문과와 뉴욕대(NYU)에서 뮤직 비즈니스 전공으로석사 학위를 취득하신 이치윤 이사님은 최근에는 미국PBS와 한국에서 절찬리에 방영하고 있는 김치연대기 Kimchi Chronicles의 한국 프로듀서로 일하셨습니다. 이렇게 다양한 재능과 끼를 여러분야에서 펼치고 계시는 이치윤 이사님, 지금은 마케팅 컴퍼니인 Concept A의 CEO로 일하시며 새로운 가능성을 향해 도전을 멈추지 않고 계십니다. 이치윤 이사님의 앞길에 박수를 보내면서 이치윤 이사님이 걸어오신 길, 그리고 앞으로 나아가실 길과 함께 이노비도 같이 발전해 나갔으면 하는 마음입니다. Director April Lee helped found EnoB 5 years ago. 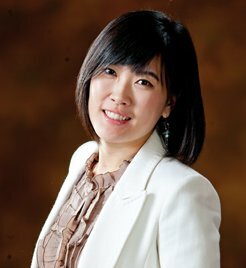 At that time, she had been the only Korean person working in the Marketing Department at Carnegie Hall. 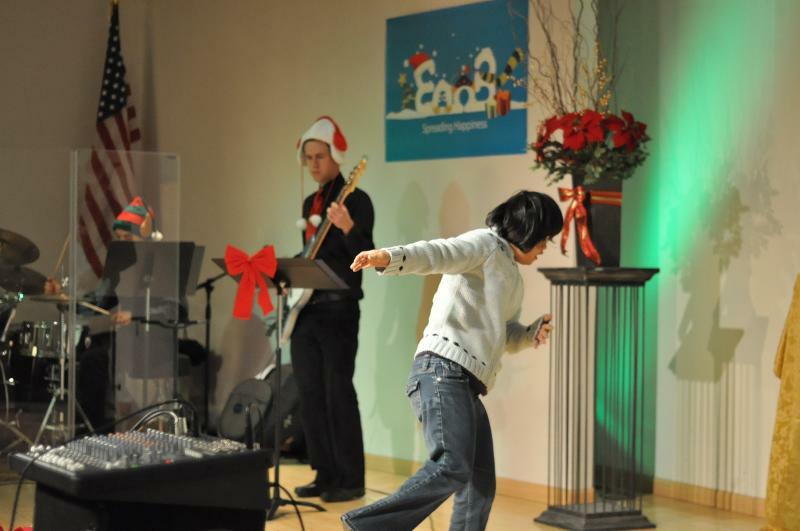 She met up and began working with Taewook Kang -- who later became the executive director, to form EnoB. 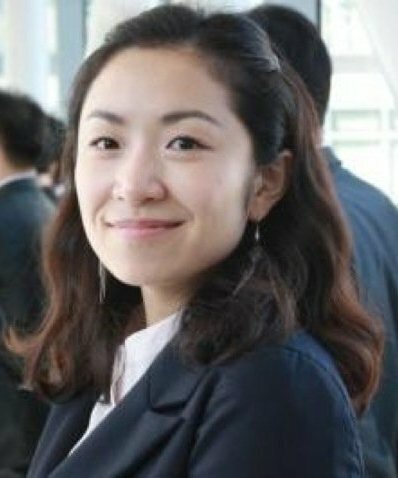 Ms. Lee obtained her bachelors degree in English Literature, at Hankuk University of Foreign Studies, in Seoul, South Korea. She then obtained a Masters in Music Business at NYU. 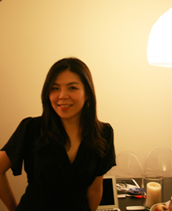 She has experience in various aspects of music and media, working both in the US and Korea. Ms. Lee was one of the associate producers of the acclaimed PBS special, "The Kimchi Chronicles". Currently, she is the CEO of Concept A, a marketing company through food & culture. We are thankful for her various talents and abilities, and are certain that through her leadership EnoB will develop and grow. 날짜를 클릭하시면 이노비의 지난 12월 신문기사를 보실 수 있습니다. Click the date to view the news articles on EnoB. 이노비에 새로운 풀타임 스탭 두분이 새롭게 함께하셨습니다. 따뜻한 마음으로 환영합니다. We would like to announce there are two staffs who are joining our family. Please welcome them with a warm heart! 왼쪽 사진을 클릭하시면 지난호 이노진을 보실 수 있습니다. 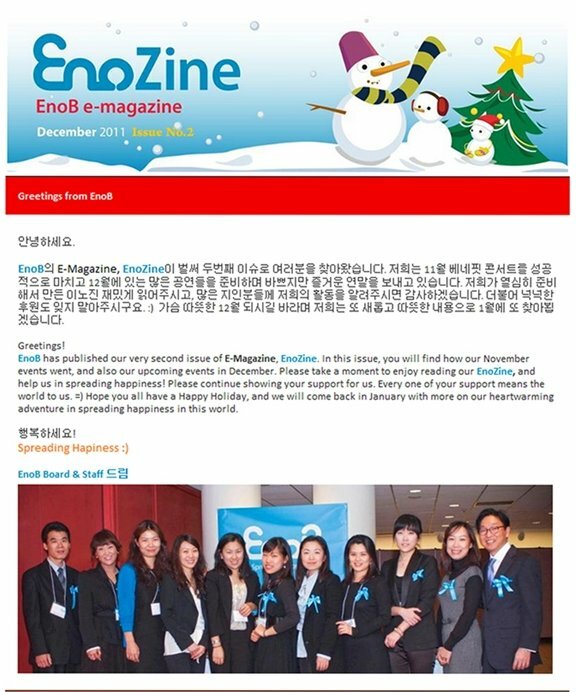 Click the EnoB winter logo above to visit our website.